BUSAN, Republic of Korea - The Arleigh Burke-class guided-missile destroyer USS Wayne E. Meyer (DDG 108) arrived in Busan, Republic of Korea, April 24 as part of a regularly scheduled port visit. The ship, with a crew of approximately 300 Sailors, is homeported in San Diego, Calif. and is currently on a routine deployment to the Indo-Asia-Pacific. "The officers and crew of Wayne E. Meyer are honored to be here in Busan and we thank our partners in the Republic of Korea navy for their warm welcome and gracious hospitality," said Cmdr. Randy Van Rossum, commanding officer of Wayne E. Meyer. "Our Sailors are looking forward to the opportunities to learn more about the rich history and culture of the Korean people. Our thoughts are also with the fallen and missing members of the Korean passenger ferry Sewol and their families during this very difficult time." 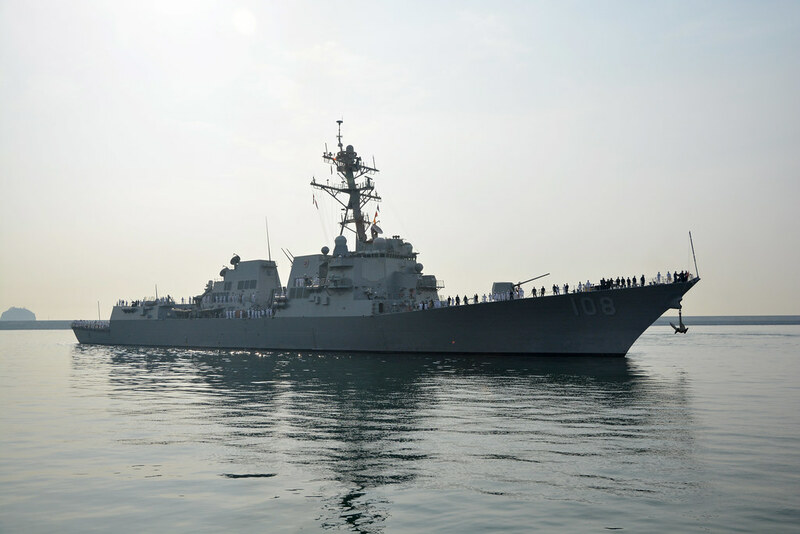 While in Busan, Wayne E. Meyer Sailors will have the opportunity to conduct training alongside their Republic of Korea navy counterparts and participate in community outreach events with citizens from the local community. The U.S. Seventh Fleet maintains routine presence in the Indo-Asia-Pacific to help promote security and peace and develop partnerships with friends and allies. Forward-deployed U.S. naval presence contributes to freedom of navigation, operational readiness, and enables an exchange of culture, skills, and tactical knowledge with nations throughout the region.